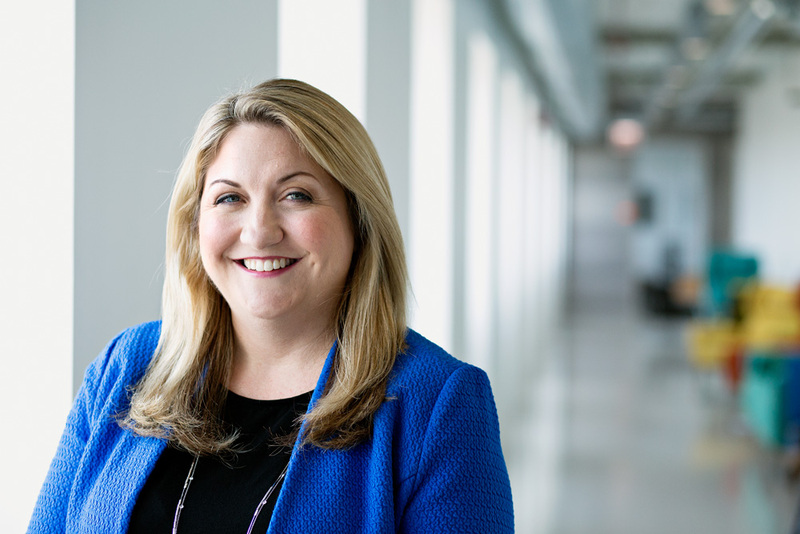 Since taking the helm of the Motorola Mobility Foundation, Courtney Vanlonkuyzen has focused on connecting the company with nonprofits that resonate with its Chicago-based workforce. When Courtney VanLonk­huyzen volunteered to mentor students in the Motorola Mobility Foundation’s Chicago Maker Challenge, she was nervous. Most of the other mentors from Motorola Mobility were engineers and designers, but VanLonkhuyzen is the company’s lead procurement counsel. She wasn’t sure she could help the students develop a technology solution to a community problem or make technology more accessible for people with disabilities, as the competition called for. She needn’t have worried. The experience has become one of her favorite memories. She helped fifth- and sixth-grade students sharpen their idea for a robot that could perform household tasks and provide safety alerts for people with disabilities. The Chicago Maker Challenge, a hands-on STEAM (science, technology, engineering, arts, and math) curriculum that Motorola Mobility developed with Citizen Schools, is one of many projects the foundation has undertaken since VanLonkhuyzen was appointed executive director in 2013. She knew that her first goal for the foundation would be to expand hands-on philanthropic opportunities for Motorola Mobility employees. “We want to be more than just check writers—we look for ways to be true, strategic, hands-on partners with the organizations that need our support,” VanLonkhuyzen explains. Historically, the foundation had focused on various aspects of community outreach, but VanLonkhuyzen saw an opportunity to make its charitable work more impactful externally and internally by tying it more closely to what Motorola does best—using technology to solve problems. 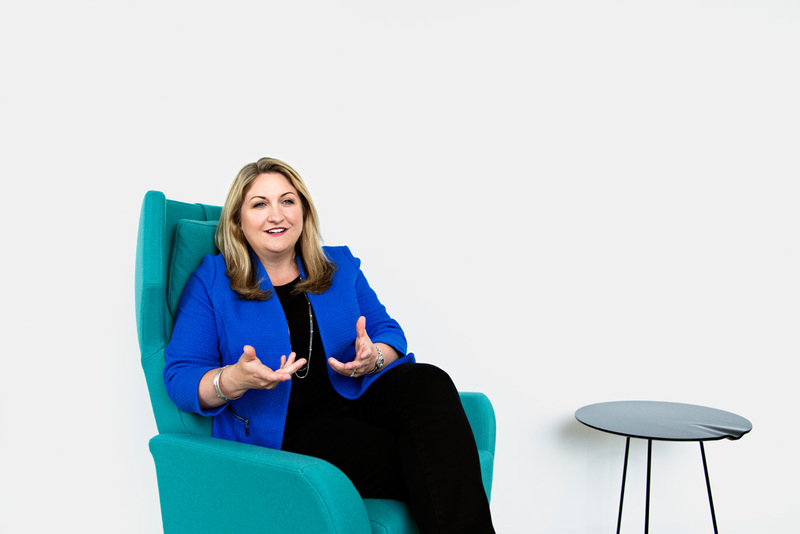 She wanted to find a way to harness the talents of Motorola Mobility’s human capital into volunteer opportunities that help those in the community who need it the most. “Being a consumer-centric company, with engineers and an entire workforce that thrives on invention and solving customer problems, I thought, how can we use that to give back?” VanLonkhuyzen says. Motorola Mobility partnered with Chicago Public Library and Citizen Schools to create the Chicago Maker Challenge, in which more than 100 students work to create software and hardware technologies to either solve a community problem or help people with disabilities have better access to technology. Motorola Mobility was one of the first investors of 1871, a digital coworking space, and is now helping 1871 on a new project, FEMtech, designed to create opportunities and growth for women-owned technology start-ups. Motorola Mobility is working with the Cove School, which serves students with learning disabilities throughout the greater Chicago area, to create a summer program that will introduce children to engineering principles. Employees will provide hands-on mentorship. The Maker Challenge is one of many initiatives with this goal in mind. Others include an employee day of service through Chicago Cares and the support of many employees who serve on boards of nonprofit organizations, such as the Chicago Foundation for Women, Illinois Coalition Against Domestic Violence, North Lawndale College Preparatory Charter High School, and Marwen. Most notably, the foundation is sponsoring the Chicago Public Library’s Maker Lab, which provides free public access to technology such as 3D printers, laser cutters, a milling machine, and a vinyl cutter. The foundation also supports 1871’s FEMtech initiative, an incubator designed to facilitate opportunities and foster growth for women-owned technology start-ups. Many of Motorola Mobility’s current projects are based in Chicago, where the company’s new headquarters is housed at the Merchandise Mart. VanLonkhuyzen’s goal was to start redefining the foundation’s mission and outreach locally, then expand outward until they had a global horizon. Motorola Mobility is currently growing—the company has seen 61 percent growth year over year in the first quarter of 2014—and as it does, so does the foundation’s reach. VanLonkhuyzen believes that a corporate philanthropic foundation should go beyond funding and partnerships. The benefits aren’t just external. When employees can contribute to causes that matter to them in a tangible, clear way, their connection to their employer and colleagues grows stronger, and corporations can retain talent through such a connection. Nonprofits are often stretched thin due to lack of funding and high demand. Financial support only goes so far to address this, and VanLonkhuyzen asserts that corporations and nonprofits alike benefit by tapping into corporate talent.